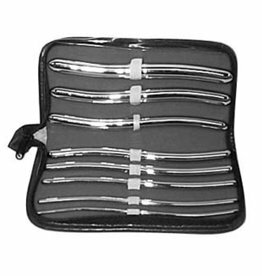 Master Series Urethral Sound Trainer Set is made of premium, phthalate free and non-porous silicone, these urethral sounds are easy to sterilize and body safe for an all new sounding experience. Curious about urethral insertion, but feeling a bit unsure? 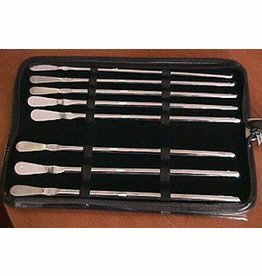 When properly applied, these smooth, metal dilators should feel like a toungue gliding down the inside of your urethra. 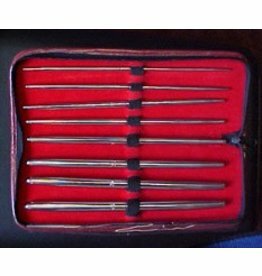 This set of 8 stainless steel Dittle dilators a flat end for east grip which also happens to be an ideal point of contact for an electrode pad.